Samantha Brunelle, a 6-foot-2 forward and the No. 1 prospect in the espnW HoopGurlz Super 60 for 2019, was surrounded by her William Monroe (Stanardsville, Virginia) teammates on Sunday when she announced that she's heading to Notre Dame. Christyn Williams, a 5-11 scoring dynamo, signed with UConn in November 2017. 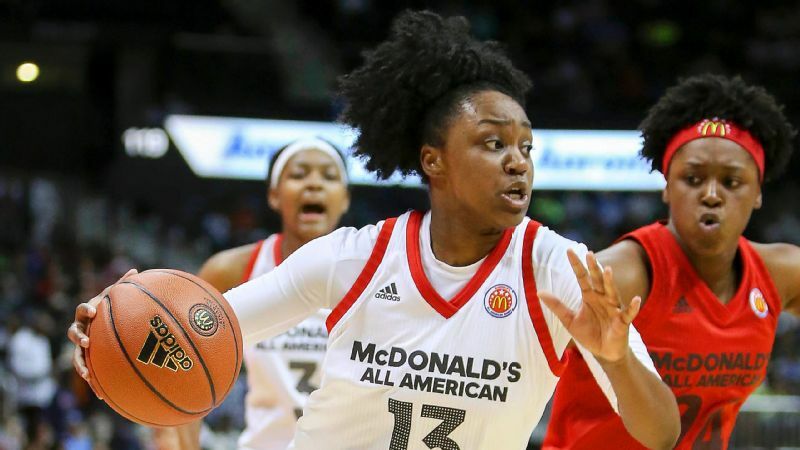 Then she was named the Women's Basketball Coaches Association's Player of the Year, the Naismith Player of the Year, the Morgan Wootten Player of the Year, the Gatorade National Player of the Year and MVP of the McDonald's All American Game. She also led Central Arkansas Christian (Little Rock) to a state championship. Next stop: Storrs. Megan Walker, a 6-1 wing and the No. 1 prospect in the 2017 class, was all smiles after signing her national letter of intent to Connecticut in November 2016. She went on to average 25.9 points, 7.6 rebounds and 3.2 steals per game, while leading Monacan (Richmond, Virginia) to a perfect 30-0 season. 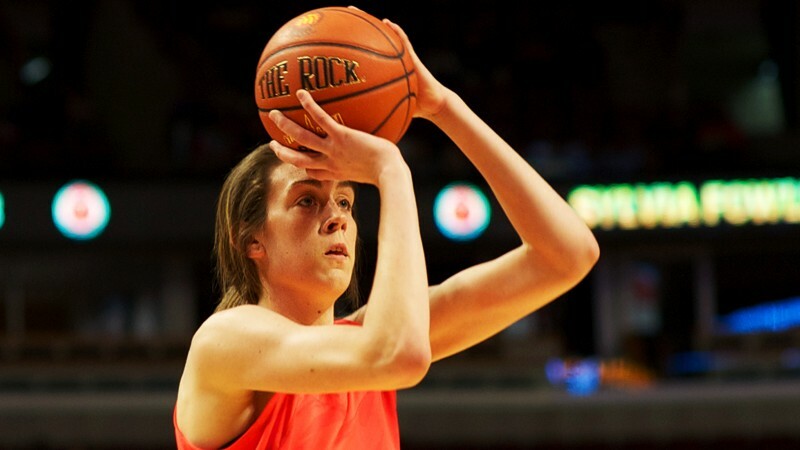 She was named the Gatorade, Naismith and WBCA players of the year. On a team loaded with stars, Walker averaged 15.5 minutes, 5.8 points and 3.3 rebounds as a freshman with the Huskies. Lauren Cox, a 6-4 forward and the No. 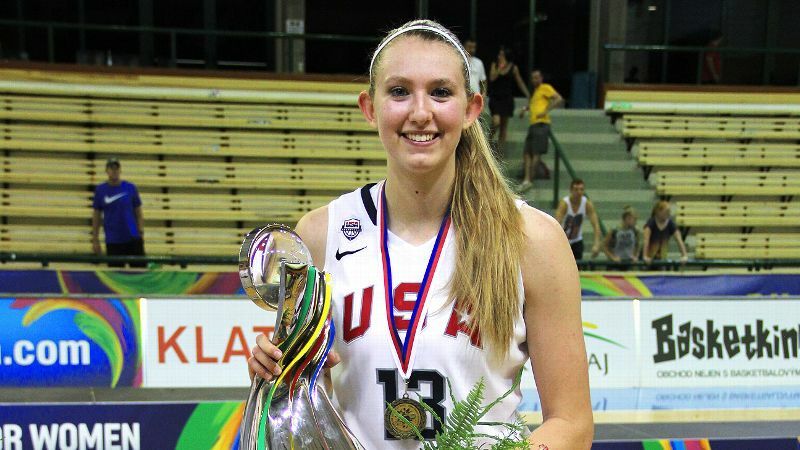 1 prospect in 2016, committed to Baylor during her official visit in October 2015. She was later named the WBCA player of the year at Flower Mound (Texas). Cox averaged 15.3 points and 9.7 rebounds during her sophomore season with Baylor. Both of her big sisters chose Stanford. But Katie Lou (take a deep breath now if you're reading out loud), the No. 1 prospect in the 2015 class, the Gatorade Player of the Year, the Morgan Wootten Player of the Year and the WBCA Player of the Year, picked UConn. 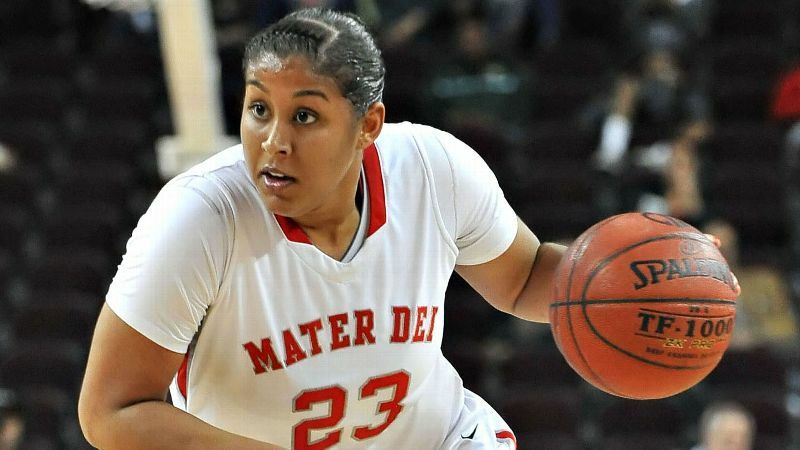 On the way to all those awards, she made her way into the Mater Dei (Santa Ana, California) record books along with another player still to come on this list. Who could have predicted what would happen when A'ja Wilson, the No. 1 prospect in 2014, decided to stay in her home state and signed with South Carolina out of Heathwood Hall? After being named the WBCA and Naismith Player of the Year as a high school senior, Wilson went on to become the only three-time SEC Player of the Year with the Gamecocks. And did we mention a national champion? And the No. 1 pick in the WNBA draft? Side note: The pearls were present even way back then. 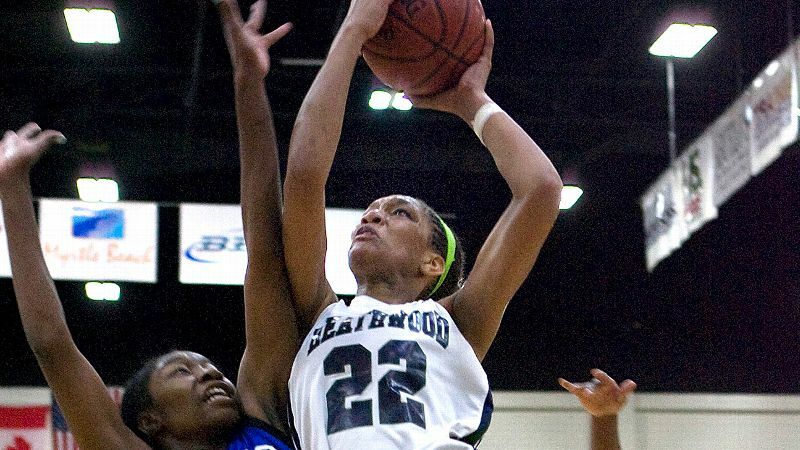 Mercedes Russell, the 2013 Gatorade National Player of the Year and MVP of the McDonald's All American Game, starred at Springfield (Oregon) before becoming part of Holly Warlick's first recruiting class at Tennessee. Russell, the No. 1 prospect in 2013, went on to put up 46 double-doubles during her time in Knoxville and now looks to do a number on her WNBA opponents. Breanna Stewart, the No. 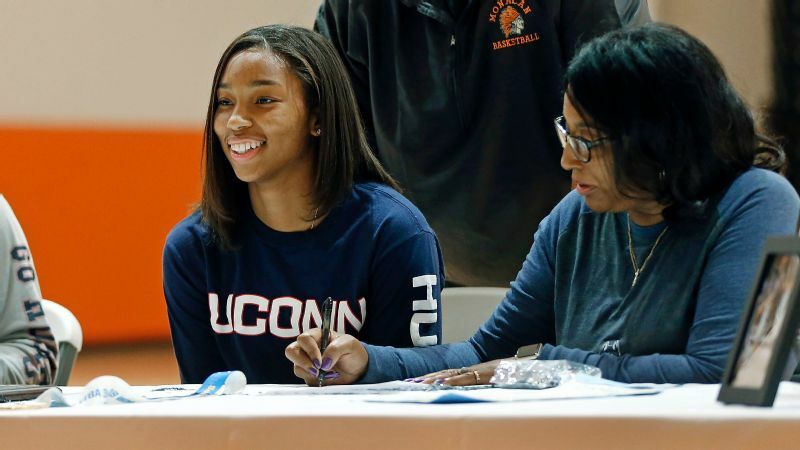 1 prospect in 2012, wasn't given the keys to the castle when she signed her national letter of intent to UConn on the hood of her dad's car in the parking lot at Cicero-North High School in New York. But after she won four national championships, four most outstanding player awards at the Final Four, was the No. 1 pick in the WNBA draft and the WNBA rookie of the year in 2016, Stewart did get the keys to a Maserati. 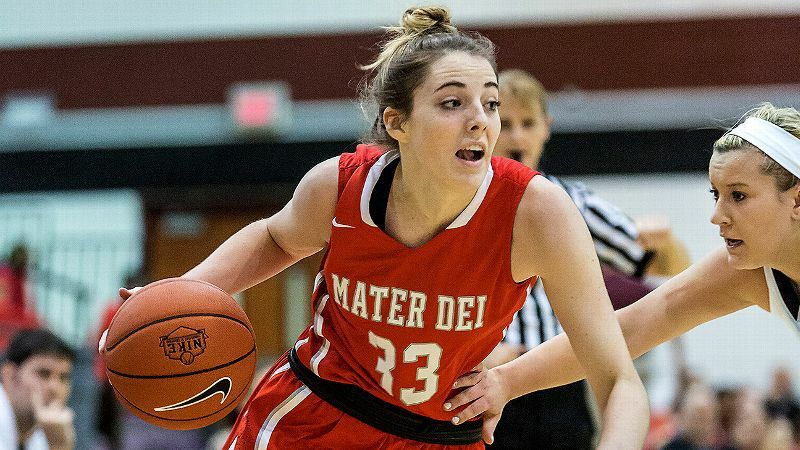 Katie Lou Samuelson wasn't the first superstar out of Mater Dei to choose UConn. Kaleena Mosqueda-Lewis, the No. 1 prospect in 2011 and the Naismith, WBCA, and Gatorade players of the year, would go on to set the NCAA Division I record for 3-pointers with the Huskies. We should mention that she also won three national titles during her stay in Storrs. 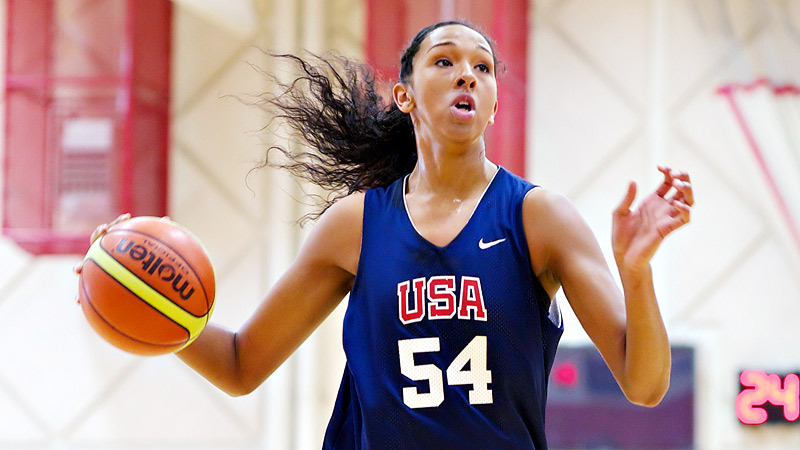 After Chiney Ogwumike, the No. 1 prospect in 2010, signed with Stanford, she rolled with Brandi Chastain and Lisa Leslie when she was named the Gatorade Player of the Year. 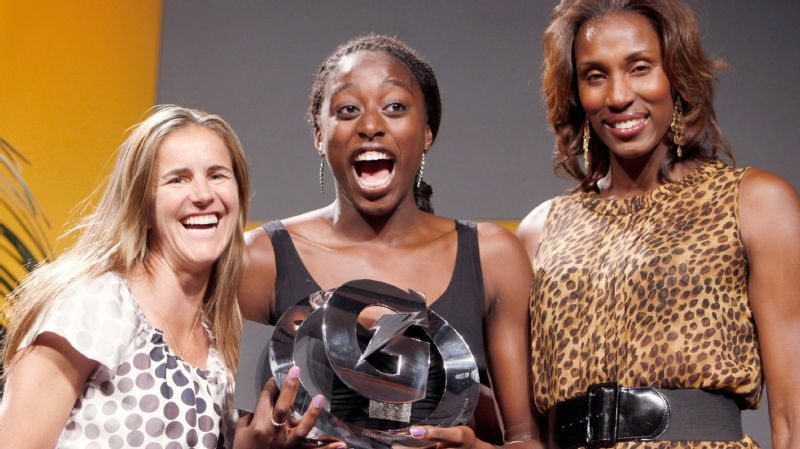 Ogwumike, who won a pair of state titles at Cy-Fair in Texas, is a two-time WNBA all-star and was the No. 1 pick in 2014. 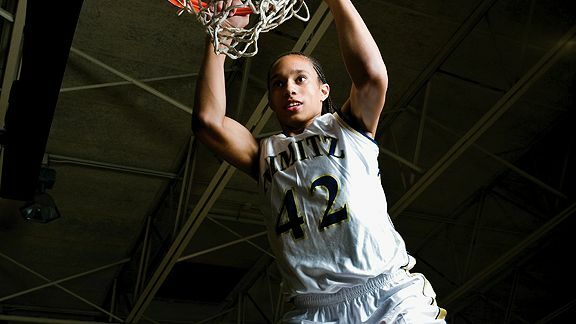 Brittney Griner, the No. 1 prospect in 2009, wowed the world with her dunks (52 times in 32 games as a senior at Nimitz High School in Houston if you're keeping count). There's not enough space here, or in many municipal libraries, to detail all the records, awards and milestones, but let's just say Baylor was thrilled to get her signature.